This section has been created to answer your questions by allowing you to find your way in this very complex world of percussions mallets. Hundreds of references are available on that site, and we are at your disposal to help you finding what suits you. 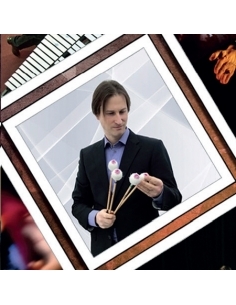 PercuSpace is the space dedicated to percussionists to try mallets and where we regularly organize concerts and masterclasses. The Internationales Percussions Mettings are an initiative of the company aiming at punctually to create a great festival around percussion. The Company will be closed from april 20th, to April 29th, 2019 for the holidays and the preparation of the festival. You can make an order on this site. These will be processed from April 29th, 2019. 1989 - 2019 : 30 years of passion! There are years that mark more than others, in 2019 we celebrate with you, and throughout the year, our 30 years. You will be able to discover our "limited edition 30th anniversary" mallets, but also our high-end accessories created with the complicity of passionate craftsmen. The most important meeting of the year will undoubtedly be our International Percussion Metting that you can discover in detail on this site. Come to celebrate our 30th anniversary, during 3 exceptional days ! 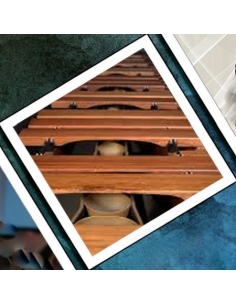 International Percussions Meeting Conference on the history of the marimba by Florentin MorelJune 9, 2019 at 11:30. Make the most of meetings with PASS day or 3 DAYS! Verzé multipurpose room (facing the church).Non-exchangeable and non refundable. 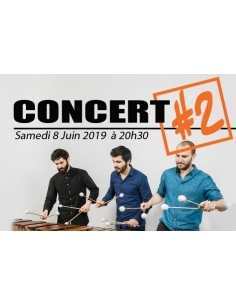 International Percussions Meeting 8:30 pm - CONCERT - Trio TrÂ , Yi-Ping-Yang et Les Percussions Claviers de Lyon With PASS 3 days options for unlimited access all meeting !Verzé multipurpose room (facing the church).Ephemeral festival restaurant nearby by reservation (12 € / pers). Non-exchangeable and non refundable. 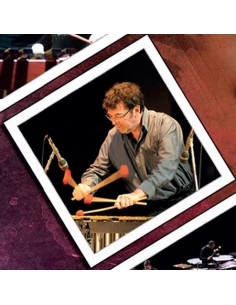 International Percussions Meeting IMPROVISATION meeting with Vincent LimouzinJune 9, 2019 at 15:30. Make the most of meetings with PASS day or 3 DAYS! Verzé multipurpose room (facing the church).Non-exchangeable and non refundable. International Percussions Meeting Make the most of festival with:PASS SATURDAY or SUNDAY for unlimitedaccess all dayor 3 DAYS PASS for unlimited access to the entire festival!Verzé multipurpose room (facing the church).Non-exchangeable and non refundable. 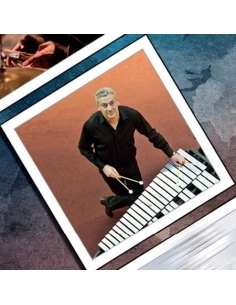 International Percussions Meeting MARIMBA meeting with Johan BridgerJune 9, 2019 at 2 pm Make the most of meetings with PASS day or 3 DAYS! Verzé multipurpose room (facing the church).Non-exchangeable and non refundable. International Percussions Meeting Light Wall System workshop with Jean GeoffroyJune 9, 2019 at 9am. Make the most of meetings with PASS day or 3 DAYS! Verzé multipurpose room (facing the church).Non-exchangeable and non refundable. International Percussions Meeting 8:30 pm - CONCERT - The SR9 Trio, Emmanuel Séjourné, Sylvie Reynaert and Lin Chin ChengWith PASS SATURDAY options for unlimited access all day or PASS 3 DAYS!Verzé multipurpose room (facing the church).Ephemeral festival restaurant nearby by reservation (12 € / pers). Non-exchangeable and non refundable. 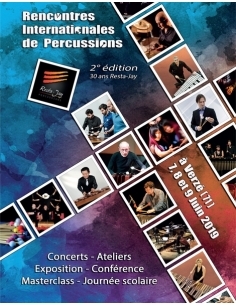 International Percussions Meeting PERCUSSIONS meeting with Yi-Ping YangJune 9, 2019 at 17h. Make the most of meetings with PASS day or 3 DAYS! Verzé multipurpose room (facing the church).Non-exchangeable and non refundable. 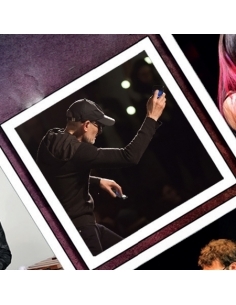 International Percussions Meeting BODY PERCUSSION introductory workshop with Trio SR9Open to everyone from 6 years oldJune 8, 2019 at 5 pm Make the most of meetings with PASS day or 3 DAYS! Verzé multipurpose room (facing the church).Non-exchangeable and non refundable. International Percussions Meeting Meeting VIBRAPHONE with Emmanuel SéjournéJune 8, 2010 at 2 pm Make the most of meetings with PASS day or 3 DAYS! Verzé multipurpose room (facing the church).Non-exchangeable and non refundable. 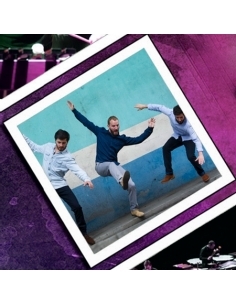 International Percussions Meeting BODY PERCUSSION workshop with Trio SR9June 8, 2019 at 5:30 pm Make the most of meetings with PASS day or 3 DAYS! Verzé multipurpose room (facing the church).Non-exchangeable and non refundable. International Percussions Meeting Music Therapy Workshop with Nelly MadeiraJune 8, 2011 at 9am Make the most of meetings with PASS day or 3 DAYS! Verzé multipurpose room (facing the church).Non-exchangeable and non refundable. 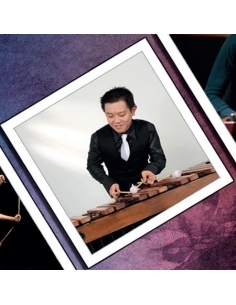 International Percussions Meeting Meeting MARIMBA with Lin Chin ChengJune 8, 2019 at 3:30 pm Make the most of meetings with PASS day or 3 DAYS! Verzé multipurpose room (facing the church).Non-exchangeable and non refundable. 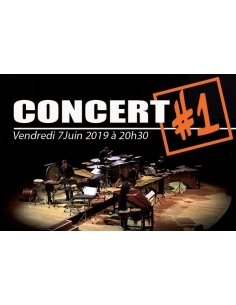 International Percussions Meeting 8:30 pm - CONCERT - Jean Geoffroy, Johan Bridger et Le Wake up TrioWith PASS SUNDAY options for unlimited access all day or PASS 3 DAYS!Verzé multipurpose room (facing the church).Ephemeral festival restaurant nearby by reservation (12 € / pers). Non-exchangeable and non refundable. 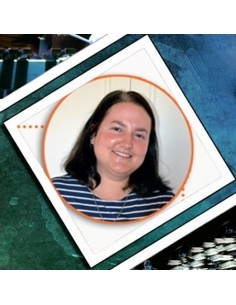 Great choice of music scores and methods !! !